In case the psychedelic decor and music posters that wallpaper his Dave’s Cosmic Subs shops don't give it away, rock-and-roll energy encompasses founder Dave Lombardy—and the opening of Cosmic Dave’s Rock Club in the former Barking Spider Tavern space on the Case Western Reserve University campus (11310 Juniper Road) has him even more energized. Lombardy reminisces about his days in California’s Mill Valley, living among such legends as the Grateful Dead, Jefferson Airplane, and Carlos Santana. “This is the same kind of club,” he says of Cosmic Dave’s. 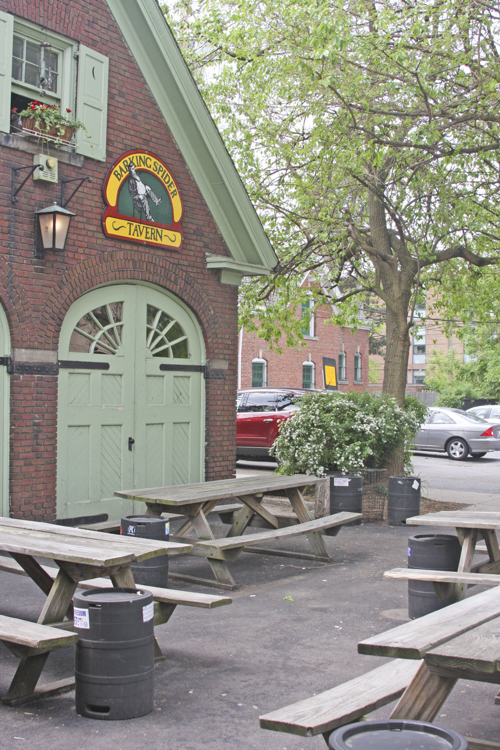 And while he's excited about what the future holds, Lombardy acknowledges the Barking Spider’s loyal following for the 30 years the bar occupied an early 1900s carriage house—serving beer and wine and hosting live local and national bands six days a week in a relaxed, friendly atmosphere. 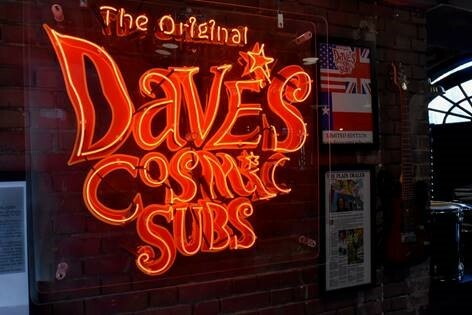 While Cosmic Dave’s just opened last week, the official grand opening will be on Saturday, May 4, according to Lombardy, with Cleveland-based Ball & Chain: The Janis Joplin Concert Experience. Paul Sidhu, president of North Coast Cosmic Subs and a Dave’s Cosmic Subs franchisee, last summer signed a long-term lease for the building, which is owned by CWRU. The walls of Cosmic Dave’s are now adorned with 60s and 70s rock posters, photos, and souvenirs­—true to Dave’s Cosmic Subs décor—and the facility will serve a full bar (with 12 craft and domestic beers on tap and specialty cocktails) and a menu with seasonal specials furnished by Danny Clark, owner of the Dave’s Cosmic Subs Coventry location. Lombardy credits his wife, Maryann, and son Brandon with putting together the décor in his first rock club. But Chagrin Falls-based RSA Architects was charged with restoring and renovating the 2,500-square-foot building with two patios. Barking SpiderRSA partner Tony Majc says the renovation was a delicate process. The original carriage house doors were restored, along with much of the interior exposed brick, and some of the main dining area was repaired and replaced. Lombardy says they are still working out their regular hours, but they are open at 10 a.m. daily.